Here is it again! 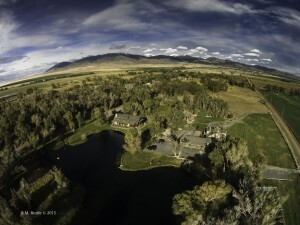 Last fall, a drone flown by Ann Ruttle of RuttleWild.com caught this stunning photo of Healing Waters Lodge with the Tobacco Root Mountains at the horizon. From Healing Waters Lodge, we have quick and easy access to plenty of private water and the Ruby River; to the Beaverhead, Big Hole, Jefferson, and Madison Rivers. For more information call Mike at 406-459-2030.